Leaf has been doing things alittle different than most products lately, with card sets that are based mostly all on one Great. First a great Ali product, followed by the Pete Rose cards, and now Green Bay Packer fans will take notice on this next set. It’s the Vince Lombardi’s Legacy set. Leaf teased the product with release of a few pics of the autos that will be in the set (see above). 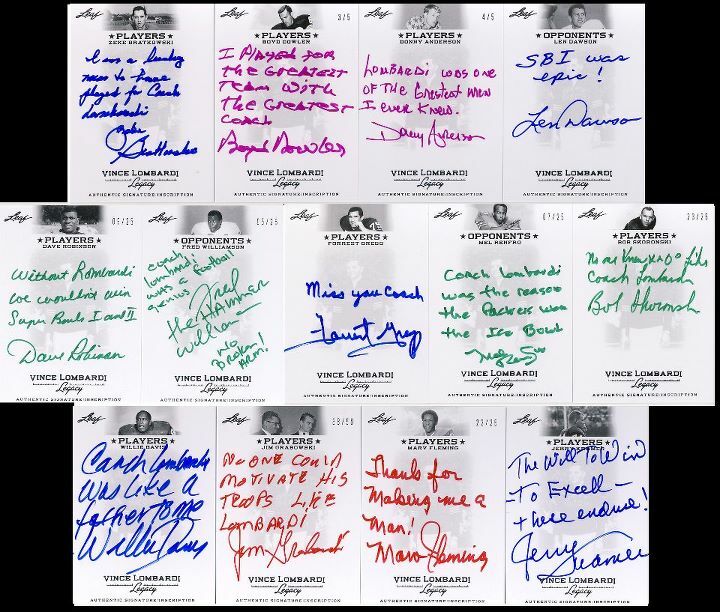 Besides releasing a few shots of the cards not much other info has been released yet, except Leaf has said that a inscription auto will appear in every pack.